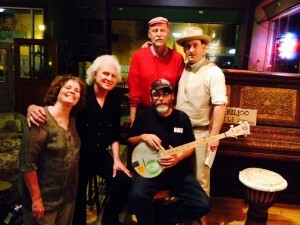 June 2015: John McCutcheon celebrates the release of his new album of Joe Hill’s music, Joe Hill’s Last Will, with a series of concerts in California (and one show in Virginia). Last week’s Wall of Power Radio Hour includes a segment on the Joe Hill Roadshow, with live performances and interviews with Bucky Halker, Jan Hammerlund, Professor Peter Rachleff, and a rousing tune by the Twin Cities Labor Chorus. Minnesotans can stream it at www.wallofpowerradio.com (the site requires listeners to verify that they are listening from Minnesota).